Superdrug have a number of face masks at the moment, and as I don't know much about face masks I thought I'd start off simple. These are 99p each but you get 3 for the price of 2 so that's what enticed me into buying them. I've used a couple of my mum's face masks before but I never really saw the point in them. Now that I'm getting older (I'm only 21 so not that old) I'm thinking more about taking care of my skin. My mum just turned 60 but looks so much younger. She attributes this to a good skincare routine since she was 16 so hopefully when I'm 60 I can look as good. 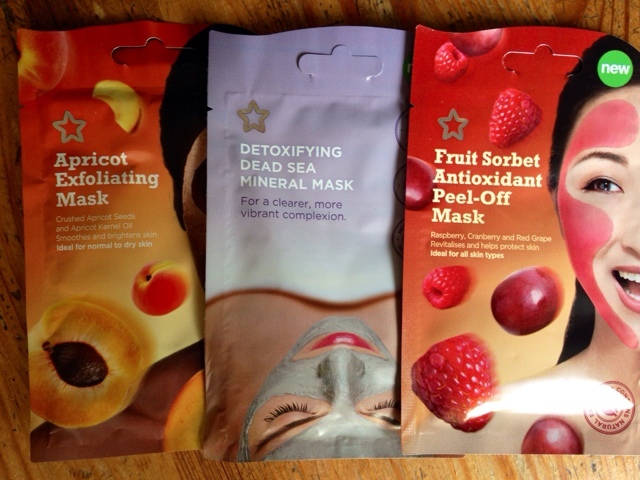 Fruit Sorbet Antioxidant Peel-Off Mask (Raspberry, Cranberry and Red Grape to revitalise and protect skin. I hope you enjoyed my first Spotlight post! Let me know other face masks you recommend in the comments.